I am trying to change/update a costumes icon photo. but it is not updating on my costume page. it says it is changed in my costume administration page, but the actual costume page is unchanged. and it has been a while since the change so i dont think a delay is viable now. 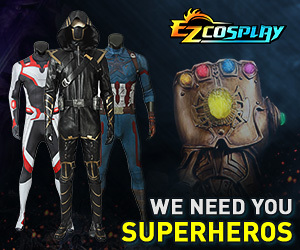 on the costumes page (when you click "costumes" on your profile), press F5. That clears the cache and should fix your problem right away. I'm having the same problem. I tried your fix Jei-Cos without any success. i was successful with what jei-cos said! Try clearing your cache the hard way. In settings. Sometimes F5 isn't enough for some reason. If THAT doesn't work, ty clearing history and a any other thing that clears useless backed up data. Had to delete my history and my cache manually and now it works. Thanks for the advice Jei-Cos! No problem. One time a mood or admin or something, came into a similar thread and said that the backed up data thing was why it did that.